Council meetings are now live streamed on You Tube! 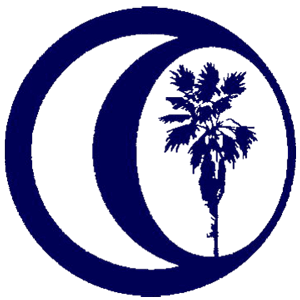 Council Meetings are held on the 1st and the 3rd Tuesday of the month at 6:00 p.m. (excluding July and August which will meet only on the third Tuesday of the month) in County Council Chambers located at 415 South Pine Street, Walhalla, S.C.(unless otherwise advertised). At each regularly scheduled Council meeting there will be a Public Comment Session(beginning at 6:00 p.m.) which is limited to a maximum of forty (40) minutes with four (4) minutes allocated per person. If you wish to speak during the Public Comment Session you may do so by placing your name on the sign up sheet in Council Chambers prior to the meeting. 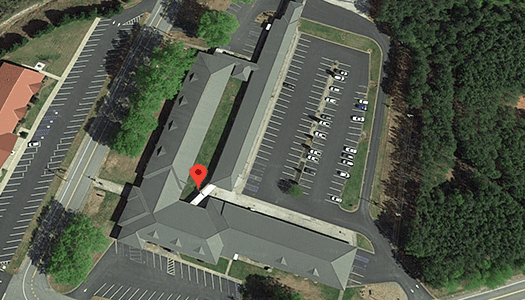 In addition, at each regularly scheduled Council meeting there will be held an Extended Public Comment Session which is limited to two citizens, five (5) minutes allocated per person. Comments do not have to be related to a specific agenda item. The time may not be used to promote or criticize a political candidate or figure. Interested individuals should contact the Council Clerk (864-718-1023 or ksmith@oconeesc.com) to sign up for these time slots which will be filled on a first come first serve basis. Please be advised that only one meeting will be scheduled at a time. Council may make closing comments directly following the public and extended public comment session if time permits. Everyone speaking before Council should do so in a civil manner. Council will not tolerate personal attacks on individual council members, county staff or any person or group. Racial slurs will not be permitted. All citizens addressing Council and all Boards and Commission appointed by Council should do so at the appropriate time as noted on their agendas and in an appropriate manner. Oconee County Council honors Law Enforcement Personnel during the May 2, 2017 Oconee County Council Meeting. 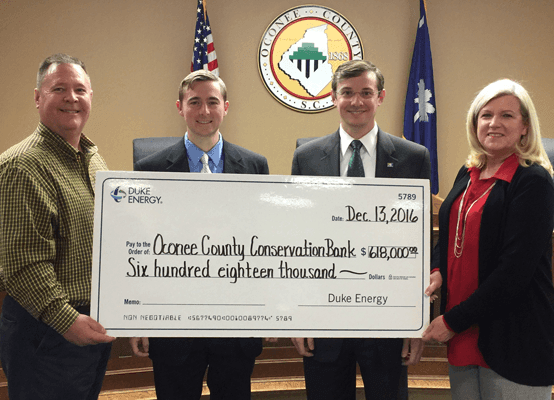 The Oconee County Conservation Bank accepted a donation from Duke Energy on Tuesday, December 13, 2016 in the amount of $618,000. Thanks to Duke Energy for the generous donation. 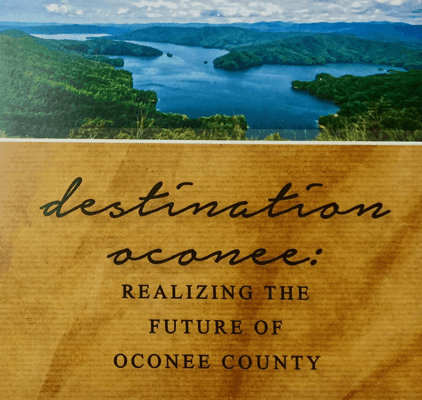 For the second year in a row Oconee County is featured in National Geographic. 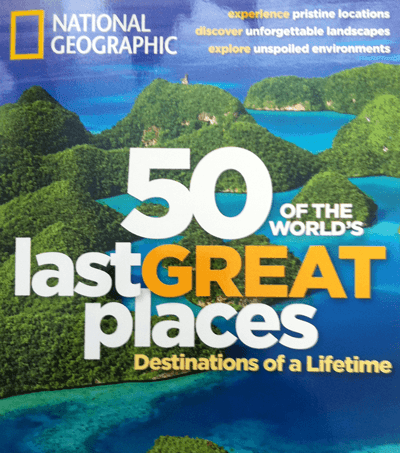 This time in the NatGeo's Traveller UK series, titled "National Geographic 50 of the World's Last Great Places". This special publication by the National Geographic features as their #9 choice "Jocassee Gorges - An Intense Concentration of Waterfalls". The article centers on North & South Carolina and also features two pages showing the beautiful and rare Oconee Bell. 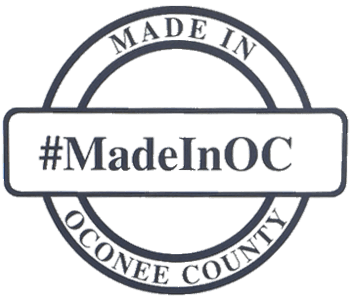 "Made In Oconee" is a coordinated marketing initiative established by the Oconee Economic Alliance to enrich the relationship between local manufacturers and the school district of Oconee County. This multi-tiered campaign highlights the products made in Oconee County and the people who make them. The first phase of the “Made In Oconee” campaign is primarily focused on gauging the general perception of manufacturing in local students and working to change it. Students from across the county were asked an array of questions in order to gain a real perspective on young people’s sentiments surrounding manufacturing. The responses were varied, enlightening and will play an important role in how future conversations are shaped. The Oconee Economic Alliance wanted to know what students in Oconee County really thought about manufacturing so we decided to go straight to the source. We talked to six different students from across the school district and what they said might surprise you. Visit madeinoconee.com for more information and the latest videos. View the current and past Friday Reports prepared weekly by the Association regarding pending issues before the state legislature.